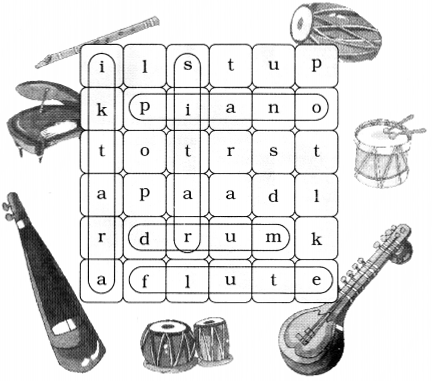 NCERT Solutions for Class 2 English Chapter 16 I am the Music Man are part of NCERT Solutions for Class 2 English. 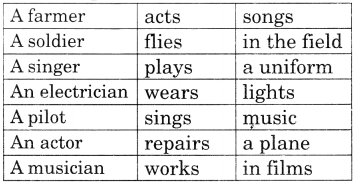 Here we have given NCERT Solutions for Class 2 English Chapter 16 I am the Music Man. This poem is about a boy who can play various musical instruments. He told a girl that he came from far away. He told her that he can play both Piano and Drums. Pia, pia, piano, piano, piano. तुम क्या बजा सकते हो? Pia, pia, piano, pia, piano. Sonia is learning to play the piano. What are the two instruments that the music man can play? वे दो बाजे कौन-से हैं जिन्हें बाजा बजानेवाला बजा सकता है? The music man can play piano and big drums. Where does the music man come from? बाजा बजानेवाला कहाँ से आता है? The music man comes from far away. If the music man comes to you, what would you ask him to play for you. यदि बाजा बजानेवाला तुम्हारे पास आता है तो तुम उसे क्या बजाने के लिए कहोगे? I would ask him to play Guitar for me. What would you like to learn music, dance or karate? तुम क्या सीखना चाहोगे-संगीत, नृत्य या कराटे? 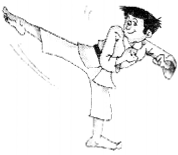 I would like to learn karate. Sing this song aloud together. Make up a tune. From home to school we go! All day long Heigh-ho! Heigh-ho! 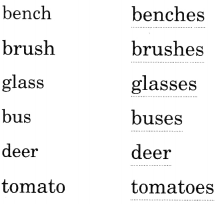 Make sentences using words from the table. A farmer works in the field. A soldier wears a uniform. A pilot flies a plane. An actor acts in films. How many musical instruments can you find in this maze? Try to circle at least four. 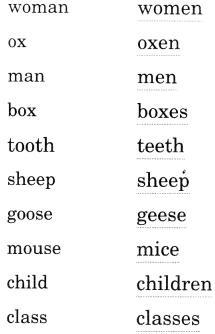 We hope the NCERT Solutions for Class 2 English Chapter 16 I am the Music Man, will help you. If you have any query regarding NCERT Solutions for Class 2 English Chapter 16 I am the Music Man, drop a comment below and we will get back to you at the earliest.